What is the Max Whitlock Gymnastics Programme? Max Whitlock Gymnastics Powered by Everyone Active was created to give children the opportunity to participate in Gymnastics through a unique programme. It has been specifically designed by GB’s most decorated gymnast and double Olympic Champion Max Whitlock MBE, along with his wife and elite coach Leah Whitlock. The sessions will enable the children to learn the fundamental and foundation skills of gymnastics to give them a great start in wherever their future takes them. Each session will be structured starting with a warm up and game to begin the session. They will …then get the opportunity to move around the apparatus taking part in fun and exciting activities set by our Max Whitlock Gymnastics coaches. 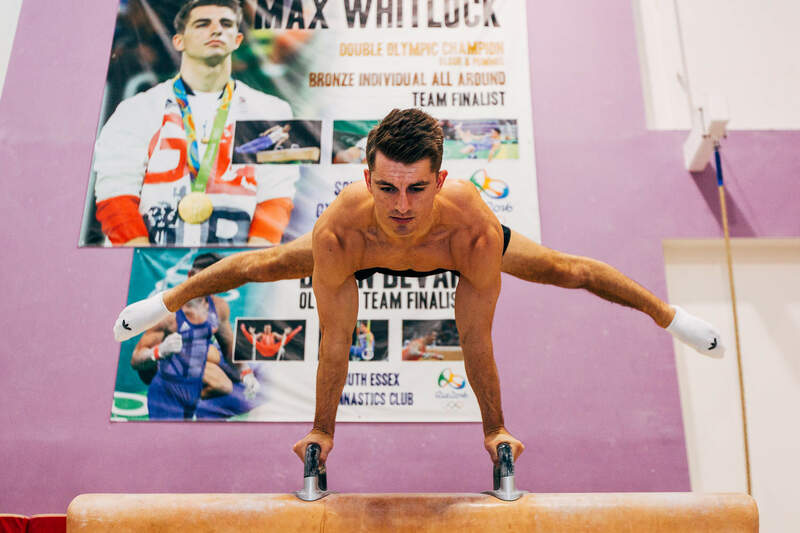 Each of our Max Whitlock Gymnastics centres are located in highly accessible facilities which are kitted out with state of the art equipment including; Vault, Spring Boards, Beam, Benches Floor and Crash Mats, etc. All children will get the opportunity to learn fundamental moves relating to this equipment. classes are suitable for children aged between 7-11 years old. We are currently working on introducing programmes for 2-3 years and advanced level classes for children 12+ years. For both boys and girls of all abilities. What will your child do and what skills will they learn? At Max Whitlock Gymnastics, the year is split into four structured terms, each one focusing …on of the four key tenets of gymnastics, Power, Balance, Strength and Flexibility. During each term, the kids will work towards achieving a ‘Max’s Mastery Award’ in one of the four key components, with a sticker for their individual progress log and a certificate being presented towards the end of the term. When demonstrating their progress, the gymnasts will achieve their bronze, silver and gold stickers, along with a certificate for each of the key components. It will take our Max Whitlock gymnasts one year to complete all four of their ‘Max’s Mastery Awards’ in specific colour. Your child will be required to wear their Max Whitlock Gymnastics t-shirt, which will be provided… in your child’s starter pack. Your child also needs to wear comfortable clothing that is suitable for gymnastics activity such as shorts, tracksuit bottoms with no zips, other under garments as well as the Max Whitlock Gymnastics t-shirt. Your child will need to wear no socks unless you have specialised gymnastics socks. We recommend that your child brings a drinks bottle to each session.